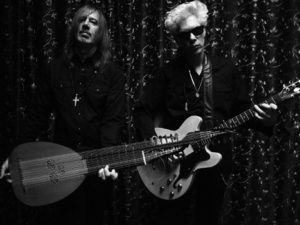 On Friday, April 3rd, I had the amazing opportunity to see Carter Logan and Jim Jarmusch of the New York trio SQURL, perform an original live score to several short films by avant-garde filmmaker, Man Ray. The screening, which sold out in less than a minute, was truly a special experience. Man Ray, an American spending most of his career in France, was a painter, fashion designer, and photographer, who also created films. 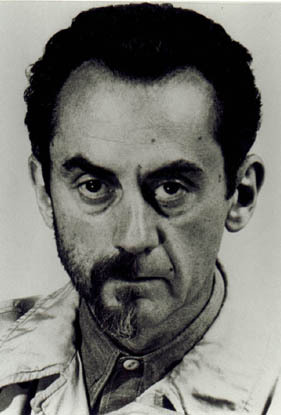 The particular films shown at FilmScene were from the 1920’s, and featured some of his most Dada and Surrealist-influenced works. The films focused on imagery of the mechanical, the reflective, and the uncanny, all tied together by fractured and half-coherent narratives. Jim Jarmusch, front man of SQURL, provided the guitar work for the score, along with Logan’s percussion. Jarmusch is an accomplished filmmaker himself, perhaps best known for 2013’s Only Lovers Left Alive. I knew that a live score, particularly with him at the helm, would be captivating to watch. 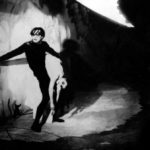 When creating a live score, at times it can be musically restrictive to have to follow along with the narrative of the film. Man Ray’s work provided a much more freeing and expressive framework for SQURL, and to watch Jarmusch, as both a filmmaker and a musician, interact and react with the film was fascinating. The screening was far more than a SQURL concert with a film being played in the background. The score was entirely original for the films, and featured droning guitars and layered loops to create a complex and dizzying wall of sound. Never daring to make too extreme a shift in sound and distract from the film, SQURL melted into the images and provided the perfect soundtrack without overshadowing them. The sold-out, yet intimately small crowd at FilmScene, was on their feet at the end of the performance, and as I exited the theater I felt that it was one of the most enjoyable and memorable musical experiences of my life. 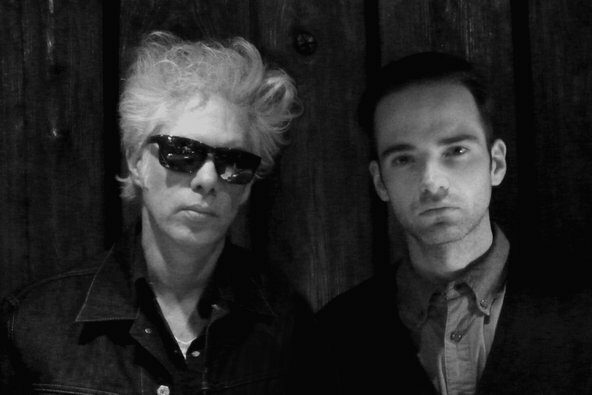 Jarmusch, with his unique knowledge of both film making and music, was the perfect choice to create a live score for a film, and he’ll be a fascinating figure to watch as he continues to create films and music into his 60’s. You can stay up-to-date on all things SQURL at their website here.